2017 – 2018 was an exciting year for us. 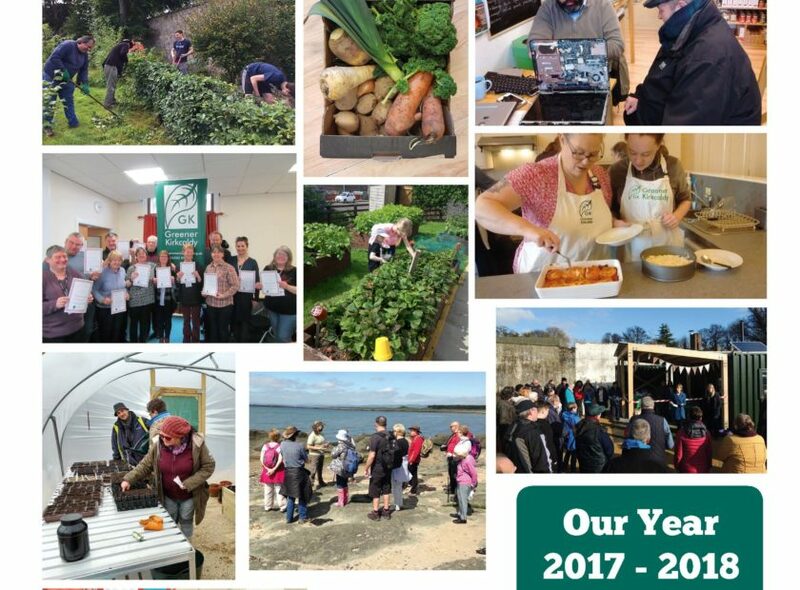 Alongside activities surrounding food and growing, waste reduction, transport, climate change, energy advice, kids clubs and volunteering, we were also awarded funding to refurbish our new building at East Fergus Place, Kirkcaldy and take forward our Community Food Hub project, and launched a new Community Training Garden at Ravenscraig Walled Garden. Read our highlights in our Annual Report for the year.